This incalmo bowl was made by Michael Hunter for Twists Glass in 2017. 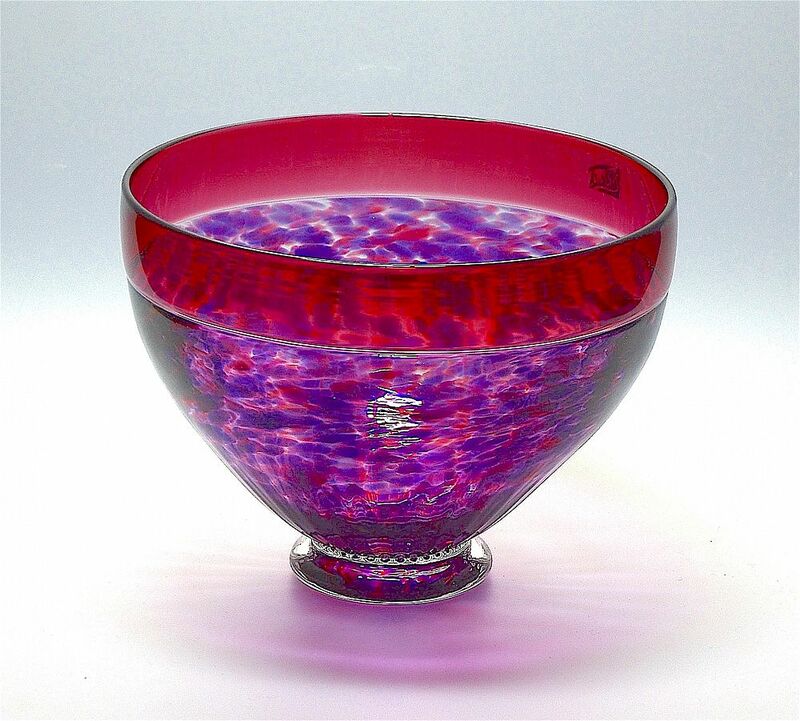 Known as "Contrast" and first designed & introduced in 2016 this lovely bowl has a red glass incalmo top below which is the externally ribbed speckled bowl, the speckling being in purple & red. The bowl has a round clear foot the underside of which is scratch signed "M Hunter Twists 17" and has the Twists Glass studio label.